In 2003, Roger Assaker left his job as a researcher at Goodyear to create his own start-up specialising in the modeling of composite materials and structures. 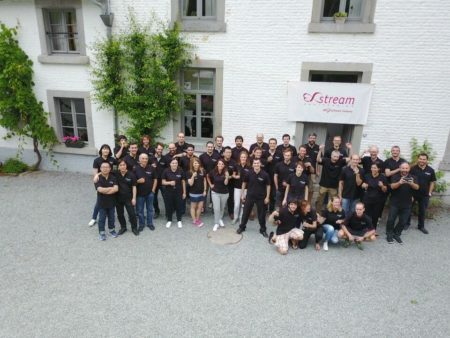 Fifteen years later, e-Xstream Engineering is a leader in its market and is now developing its know-how within a large international group. Employed for more than 5 years at Goodyear as Senior R & D Engineer, Roger Assaker, a Doctor in engineering and Aerospace who graduated from the University of Liège and UCL in Louvain-la-Neuve, realised quite quickly that he did not really enjoy working within a large structure. After a random meeting with one of his former teachers, Issam Doghri, he shared with his former friend his wish to create an activity in the field of modeling materials which, at that time, was not a well-known activity. 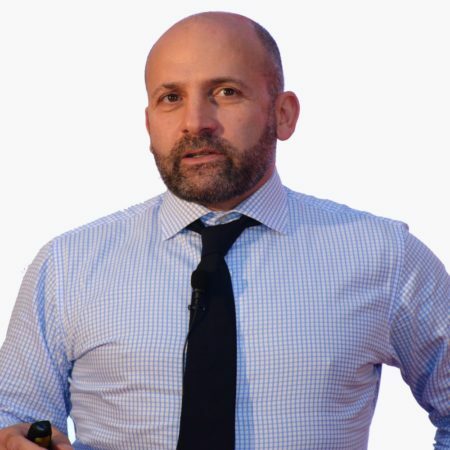 Enrolled in an MBA programme at Sacred Heart University, he used this intellectual environment to put the finishing touches to a business plan which he successfully submitted, to several national competitions (123 GB in Luxembourg, 4×4 for Entreprendre in Belgium) and the European ‘Eurowards’. This allowed him to get out of the starting blocks and find investors for the company. Initially established in Belgium, as a spin-off of UCL, e-Xstream was quickly rolled out additionally in Luxembourg where Roger Assaker had a well-established network. The Solvay group in Belgium and Goodyear in the Grand Duchy were the first to manifest their encouragement, even though the company has no major experience. “At that time, we received effective support from the Luxembourg Ministry of the Economy, which helped us and our clients to establish cooperation models to minimise the risks on both sides.” Mr. Assaker recalled. Very quickly, contacts and customers started to grow for the company initially housed at the Ecostart centre in Foetz. 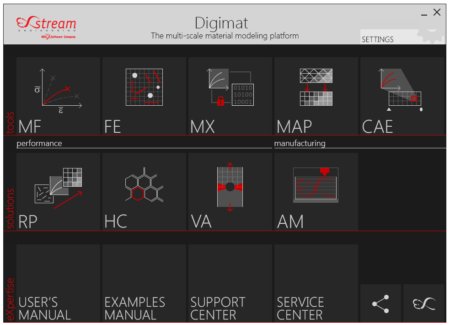 It must be said that the numerical modeling algorithms developed by e-Xstream make it possible to reach much higher levels of precision than with “traditional” simulations. Not to mention the savings on development time, the reduction in the number of prototypes which need to be produced, and optimising the right amount of materials to use. Examples of benefits are abundant: for a car brand, the implementation of e-Xstream can reduce the need for a series of plastic parts by up to 15%. When compared to the number of vehicles produced, the potential gain amounts to several million euros per year. 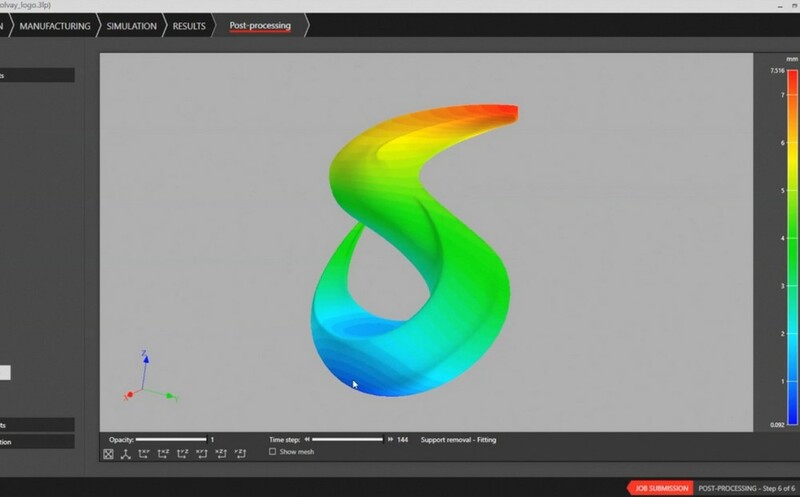 With software enhancements coming out on average every six months and continuous development, e-Xstream has become the leading specialist in composite materials and plastics for all types of industries. New developments are followed by new customers and new applications lead to new developments. This virtuous circle took the company on the road to success, with annual growth of more than 50%. Roger Assaker even received, in 2007, the very first Creative Young Entrepreneur Award organised in Luxembourg by the Junior Economic Chamber. Something which generated a certain amount of envy and concrete offers to purchase the company. It was finally the Californian company MSC Software, another pioneer in digital simulation supporting NASA in its conquest of space that made a bid for e-Xstream in 2012. “They told us: ‘We are buying you because you are the best.” Mr. Assaker explained. The change in ownership of MSC Software, which passed in 2017 into the hands of the Swedish group Hexagon, does not alter the expansion nor the ambitions of the company, which expects in 2018 alone to recruit about twenty additional heads to take care of the new contracts which are being concluded. Success is also achieved through a process of continuous innovation, which has earned the company multiple awards in international competitions, including the JEC Innovation Award and R & D 100, considered the “Oscar of the Year for innovation”. All this in a Luxembourg environment. “The proximity to the government is important and the concept of trust too. I remember a few years ago a visit of Boeing’s leaders to Cargolux. The minister at the time told them directly about us and the next day we had a meeting in Seattle with the leaders of the group. “It is hard to imagine that e-Xstream can feel better than in Luxembourg, where R & D in the area of materials is part of the country’s economic diversification strategy. Additionally, the National Competence Center for Composite Materials was recently established in Bascharage, just across the parking lot from the company’s offices … perhaps a symbol. The motto of Roger Assaker: “There are only our dreams that are not made of materials”.